2011 fashion trends are combining lovely feminine colors with boldly dramatic motorcycle related accents. The military style influences of the last few years have evolved. Enter Biker Chique. I am seeing black leather in vests and bags, big chunky boots with fun accents, and belts with studs and rivets. Zippers are making a statement as fashion accents and quilted fabrics are new again. This is not the grungy motorcycle look of a previous decade but a more sophisticated way to express your fashion. You don’t have to be a Biker Chick to be Biker Chique. Your motorcycle jacket doesn’t have to be made of black leather. 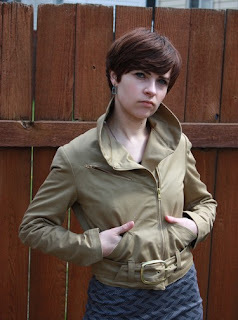 Be adventurous with style in a tan organic cotton twill motorcycle inspired jacket like this one designed by Reifhous. Forget about the black leather pants. You can rock these handcrafted black leggings with your kitten heels. The leggings are available at Duende74 . They are made to order so you can choose whether to have the detailing on the back or the side of the ankle. On a recent visit to New York we saw an incongruous combination of girly dresses and chunky footwear. It worked! 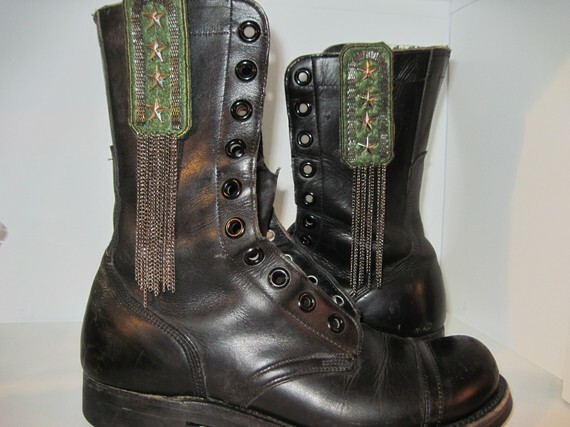 Try adding these upcycled boots to an ensemble that includes your favorite flirty skirt. They are available from WithoutBustles. 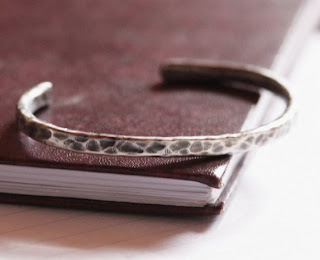 A great way to incorporate biker style into your wardrobe is through the use of accessories. I fell in love with this rich chocolate brown holster bag. It is called the Peacemaker and is available from the designer, MadCapClothing. 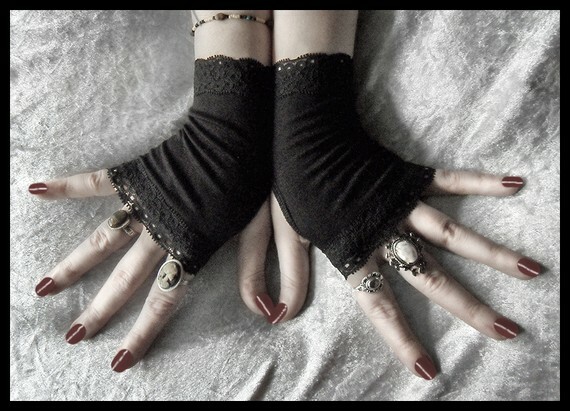 Or warm your hands with biker style on those cool Summer evenings with these lacy fingerless gloves available from ZenandCoffee. Don’t forget the jewelry. This hammered cuff by Colla could grace the arm of the fiercest biker fashion. 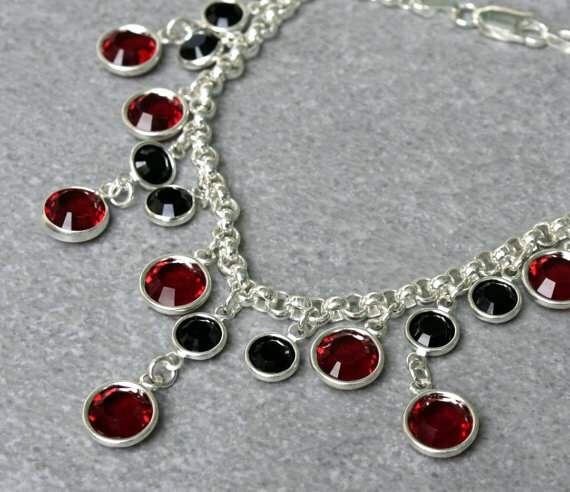 This silver chainmaille bracelet with black and red crystals by Galadryl will add some glam to your black leather. So what do you think readers? Is Biker Chique in your future?